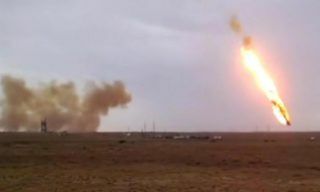 In several days Soyuz TMA-12M will be launched from Baikonur spaceport and orbited by Soyuz FG booster. 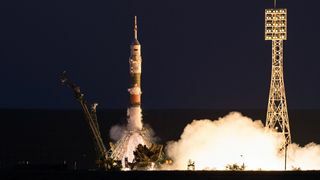 The crew going to the ISS comprises Russian cosmonauts Alexander Skvortsov, Oleg Artemyev and American astronaut Stephen Swanson. 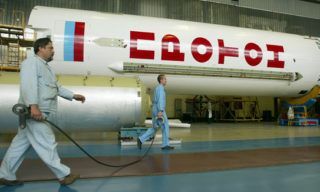 On Sunday, March 23, the rocket was installed on #1 launchpad (Gagarin launch). 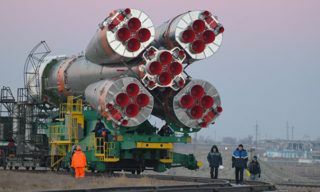 Roll out and installation of Soyuz FG booster were carried out in accordance with the working plan of Baikonur. 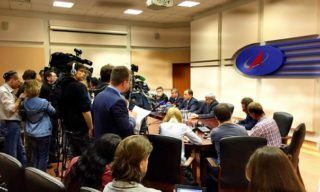 The cosmonauts preparing for the launch watched this procedure half a year ago being the back-up crew. 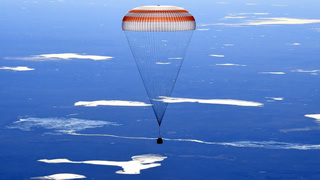 Today the back-up crew consists of Alexander Samokutyayev, Elena Serova (Roscosmos) and Barry Wilmore (NASA). 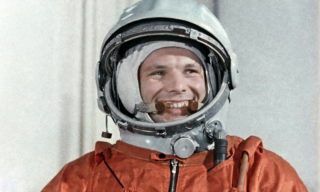 Among them Alexander Samokutyayev is the only cosmonaut who has already been to space onboard Soyuz spacecraft. 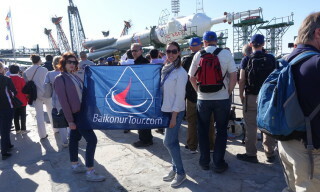 For Elena and Barry this flight will be the first one, that’s why they watched the works on rocket installation with such a great interest. In accordance with the schedule of rocket preparation works this day is considered to be the first launching day. 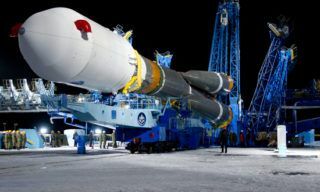 The launch itself is planned for March 26, 03.16 local time.